This isn’t a one off. The sponsorship of the Great Exhibition of the North was brought to a rapid close earlier this year and The Sackler Trust’s funding of several of major arts organisations was in the firing line due to its links to Purdue Pharma. According to the Arts Professional Ethics survey, 73 per cent of arts organisation employees consider their employer to be at reputational risk through association with a sponsor or major donor whose own reputation is subject to criticism. And, if the private function in question at the Design Museum is seen as too close an association, then the need for a clear ‘defensible’ policy is needed by all. But what is a defensible policy and how can an arts organisation avoid a backlash, without ignoring vital fundraising opportunities? How can organisations be sensitive to their stakeholders’ views without allowing them to impact the commercial success of the organisation? 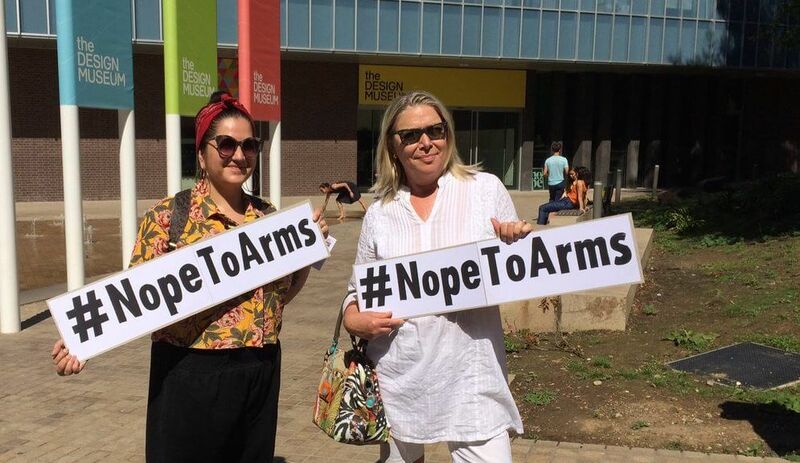 Although the link to an international arms firm seems obviously a bad idea, there are some people who consider the lines blurred when brands are linked through parent companies and subsidiaries to unfavourable businesses. It’s not easy to agree what constitutes a good sponsor and it’s not a discussion that needs to be had without a structure or without a policy to reference that can help us make a decision and support the ones we’ve made, especially at the times when we have to argue our case. We need to be careful that we don’t make the arts unfundable. A sponsorship must align with the values of an organisation, helping them further their aims. At the same time, we need to support our fundraisers as they raise funds from as wide a variety of sources as possible. Fundraising is a difficult job and if we create too narrow a view of what makes an appropriate source of funding then their work might become impossible. This isn’t just about the decision that individual organisations make about what funding associations are right for them, it’s about whether the organisation has invested enough time to consider their position. One step to ensuring a defensible position is to develop a straightforward ethical policy that outlines which associations are acceptable or not. Such policies should usually be led by Trustees. Disappointingly, only a little over a quarter of respondents to the Arts Professional survey said that their organisation has a policy in place to help them make ethical decisions, and even those that do, still feel vulnerable to reputational damage, indicating that the policy hasn’t been fully debated throughout the organisation. Decisions and policies need to be reviewed regularly. Opinions change, reputations change, and we need to make sure that our view is a current one. Simple steps can support organisations to have a very clear ethical position. Cause4 has developed a training course on its eLearning platform Cause4 Advance to support organisations to make ethical decisions and to develop an ethical fundraising policy. We are also a partner in the Risks, Rights and Reputations training courses with Index on Censorship and What Next? helping CEOs and Chairs to take considered risks in developing controversial artistic work. Arts organisations need a strategy that takes ethics into account and provides a benchmark that can be used across the organisation to assess the decisions it takes and the partnerships it forms, whether full scale sponsorship agreements or the one-off hire of facilities. Waiting to see whether the decision made will be noticed outside the organisation, and what the public reaction will be is a risky business.